Elysian - Greek for "beautiful or creative, divinely inspired, peaceful and perfect"
I was inspired in Santorini, Greece when I came across a small shop with purses made with scrap fabric and leather woven together to create patterns, fringe, and a rough mixture of color and texture. I took this inspiration and made it my own in this line. The woven aspect in the garments was executed by weaving yarns by hand, with a yarn needle, through a wide mesh material. 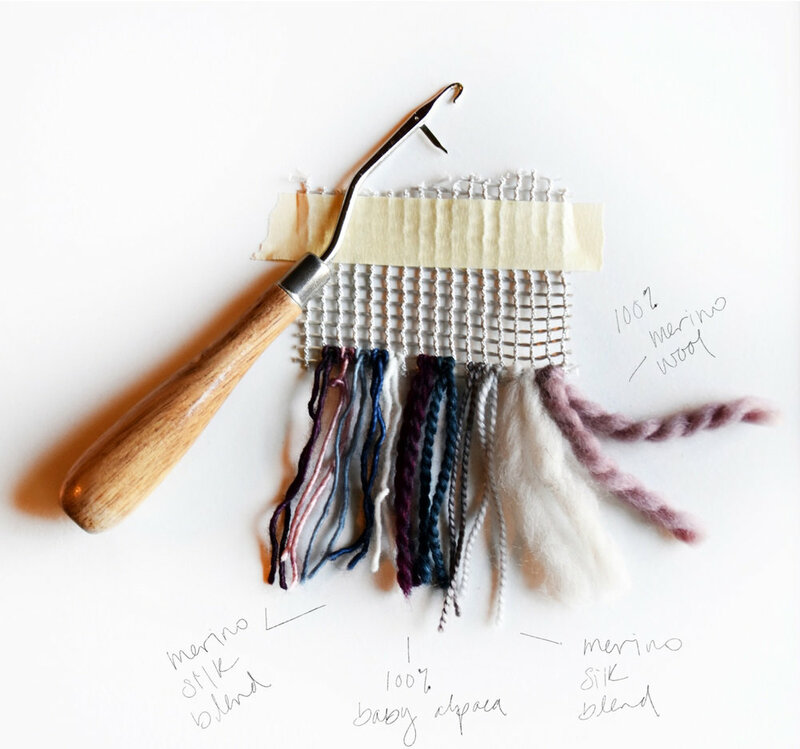 The fringe was created by hand with a latch hook tool. The mesh was first sewn into the garment with the other materials, and then I created the woven designs and yarn placements in an "as-you-go" improvisation manner. It was a completely new technique that I hadn't tried before creating this line; a blind jump into my vision. Hours of practice weaves, experimenting, and inspiration research were done to make sure I executed my vision into its full potential. In total, I spent over 130 hours on the weaving. The fully woven jacket alone took 80 hours of hand weaving. The garments without weaving were also designed, draped and constructed by me. Read an article about my collection here.